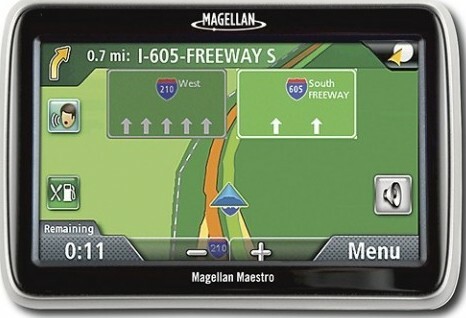 One of the leading provide of GPS devices, Magellan has announced its new ultra-slim Magellan Maestro 4700, which combines large, wide 4.7-inch touchscreen display, larger fonts, integrated voice command capabilities and Highway Lane Assist feature in a single GPS device, aiming to provide users a robust navigation experience. Exclusive OneTouch Favorites Menu – Access your favorite destinations and searches with personalized bookmarks. Reach your favorite cafe or restaurant in any city with a single touch, offering an additional 12 bookmarks to save favorites. Bluetooth Compatible Hands-Free Calling – Make or receive calls using compatible mobile phone. Access your phone’s address book to access up to 1000 numbers right from Magellan Maestro 4700. Keeping road noise down thanks to noise-cancelling microphone. Predictive Traffic – Analyzes past traffic patterns while creating a route to help users avoid known delays. Options to stay on your current route or go with suggested less congested routes. Instant Access to All Points Of Interest (POI) – Perform one search and get results from both the standard POI database and Magellan-exclusive AAA TourBook guide. “Find Your Car” with Pedestrian Mode – As its name implied, “Find Your Car” can remember the location of your car in parking lots, airports, malls, universities, amusement parks or stadiums. QuickSpell with Smart City Search – Enables quick, single-address entry or convenient multi-destination trip planning, including route optimization. New Address Book – Allows users to save complete itineraries by adding an address a snap with smart address summary. Intuitive, Context-Driven Touch Zones – Provides drivers a completely interactive map screen. 3D Landmarks – Displays visual cues to help users perform maneuvers and find destinations. The new Magellan Maestro 4700 GPS navigator that bundled with a windshield mount and cradle, 12-volt vehicle power adapter, USB cable, protective pouch and adhesive disk for alternative, on-dash mounting is available for MSRP of $299.99.